Following my book-length study of Mary Shelley’s Frankenstein, I decided to undertake a full-blown study of Humphry Davy, who had used the Voltaic battery from 1800 onward to chemically investigate the properties of elements at the Royal Institution (founded 1799), where he had been appointed Professor of Chemistry at 23. His first major discovery at the subterranean laboratory at Albermarle Street in Mayfair was the chemical composition of potassium , and this was followed by other discoveries – sodium, barium etc. But Davy was not only a self-taught scientific genius, he had also written and published poetry before coming to London from Bristol. At Bristol, having been appointed as chief researcher by Dr Thomas Beddoes at his new Pneumatic Institutehe , Davy came into contact with other ‘Romantic’ poets, chief among them, Samuel Taylor Coleridge. Coleridge soon became Davy’s number one fan – and he liked his poetry so much that he suggested to Wordsworth, now living in the Lake District, that Davy should take charge of putting the 2nd edition of their jointly written Lyrical Ballads volume, through the press, Davy being so conveniently near to Joseph Cottle the Bristol publisher. The story of how Davy came to do this for Wordsworth, both having agreed to the arrangement, and also how in turn Wordsworth was inspired enough by this rising star of British science to make a U-turn in his attitudes and write a new lengthy section about what science could herald, is the subject of ‘Humphry Davy and William Wordsworth: A Mutual Influence’. 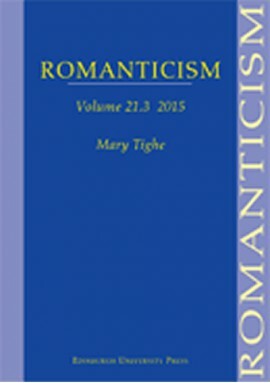 I am very glad to say that following its publication in Spring 2012, the essay became one of the three most downloaded essays from the Romanticism website over the following year. Some kind of recommendation, I hope! If you are unable to access it, email me and I will send you a pdf of the essay.